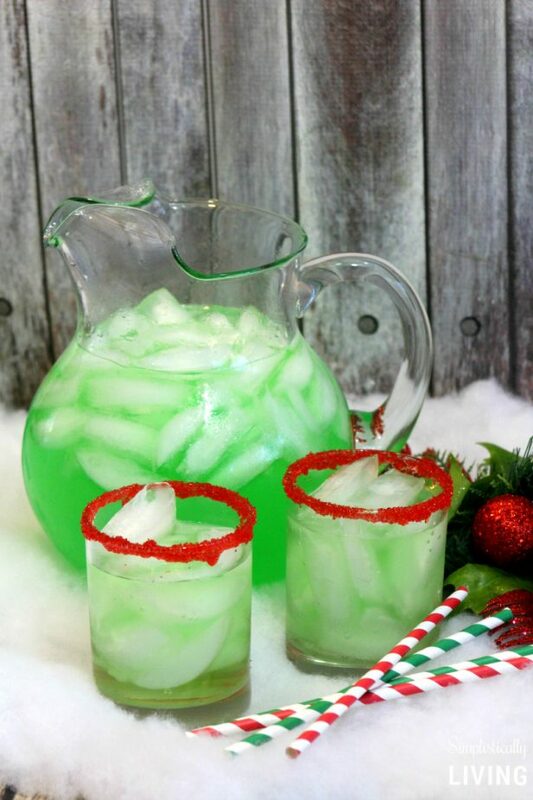 I came up with this Grinch Punch that is easy to make and certainly delicious making it perfect to serve at holiday parties. One of my favorite movies to watch during the holidays is Dr. Seuss’ How the Grinch Stole Christmas. Naturally that makes me want to make things relating to the Grinch but since I am all about getting a head start on things I thought I’d start making that now. Total inspiration for this recipe! Before you make this recipe, I want to mention that some are having a hard time finding the Lemon Lime Kool-Aid packets in-store. I believe they may have discontinued these after this recipe was made. 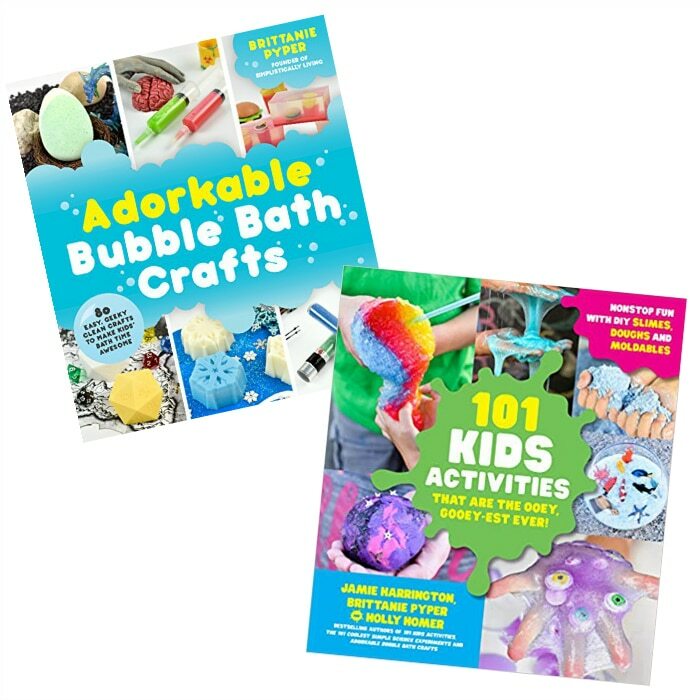 However, I found them on Amazon in a large pack which is totally cool if you plan to make a lot of this. You can order them here (or click the image below). If that doesn’t work, you can also use the Green Apple Flavor although it will taste a bit different. You can order them here. This punch couldn’t be any simpler to make. First, start by pourting 2 quarts of water in a 1 gallon pitcher. Of course, you can double or even triple this recipe if needed. Next, add the Kool-aid mix and sugar and stir until the sugar is dissolved. Now, add the pineapple juice and lemonade and stir well. You’ll notice it turns that nice pretty Grinch Green color! To top the rim of a glass, dip the top in water then dip into the sanding sugar. Just before serving, add the Sprite and ice and serve and enjoy! This would be really fun to make for a Christmas party at school too! 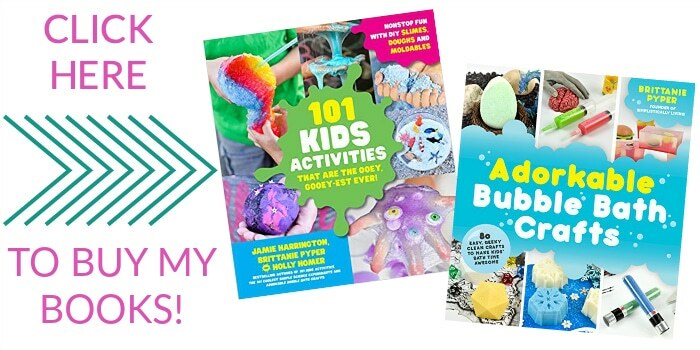 I bet your kiddos will love it as much as mine have! 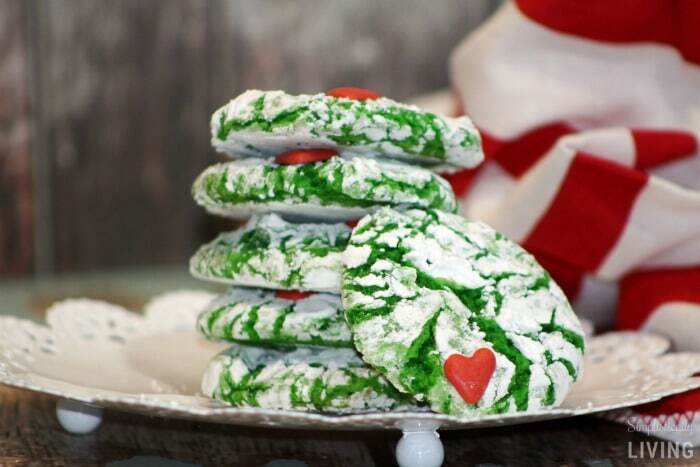 Looking for another Grinch Recipe? 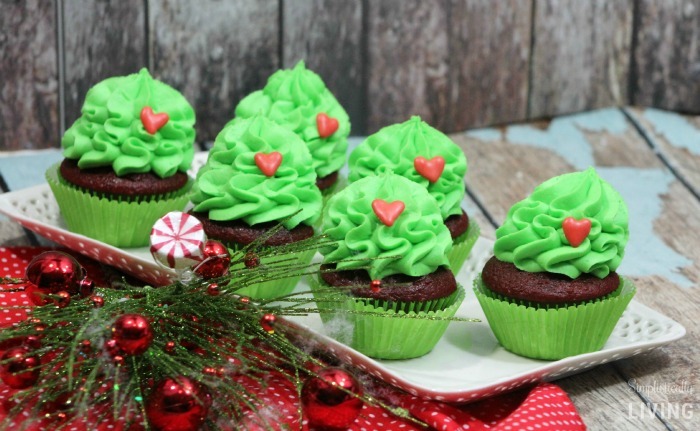 Check out these Grinch Cupcakes! 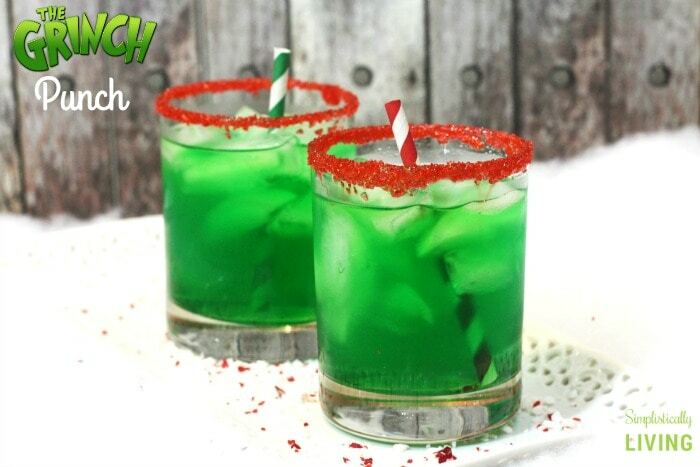 Grinch Punch is the perfect punch for any holiday party. Pour 2 quarts of water in a 1 gallon pitcher. Add the Kool-aid mix and sugar and stir until the sugar is dissolved. Add the pineapple juice and lemonade and stir well. Just before serving, add the Sprite and ice. I cannot find lemonade concentrate, will Simply lemonade work? Or Frozen Limeade concentrate? It could work it may just give a different taste. Is there a version with alcohol? 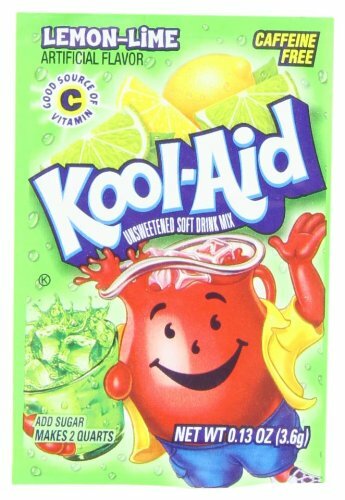 Here in Canada, you can no longer buy Kool Aid...I wonder what else you could use??? Hello! So I just made this for my sons Grinch party. And like some others I could not find the lemon lime Kool-Aid. Only to find out it had been discontinued a while ago. So I opted for Hawaiian Punch Green Berry Blast, pre made in 1 gallon container. Hawaiian punch does make a lemon lime but my Walmart did not have enough. It works great! And tastes really good! Do not use the 2 Liters of water or the 2 cups sugar, use 2 liters of straight Green Berry Blast. Then add everything else. Kids loved it! Sorry, not 2 liters, 2 QUARTS. Thanks so much for this tip as others have stated couldn’t find Kool-aid. Haven’t used it in years so didn’t even realize it. Great idea!!!!! So I’ve tried 4 stores and unable to find the kool aid.. other suggestions? It honestly doesn't taste the same without it. Strange you aren't able to find it! None at Walmart or kroger - not sold out, just not there. I have been to 3 stores and didn’t find the kool aid. I see an old comment below asking about the pineapple juice so now I’m confused - is it a 12 oz frozen concentrated can of pineapple juice, or a 12 oz can of ready to drink juice? I couldn't find lemon lime Kool aid either today. Google DIY kool-aid. It's a mixture of a box lemon and la box of lime jello with sugsr added. It works. We made Grinch punch tonight and it tastes the same as being made with kool-aid. HI, we had the same problem yesterday, I was unable to find lemon-lime kool aid anywhere. Google DIY kool aid. For the Grinch punch mix a box of lemon jello and a box of lime jello with the sugar called for in the recipe. Mix the jello powders with the sugar in a bowl and then add to the amount of water in the recipe. Then follow the rest of the recipe. 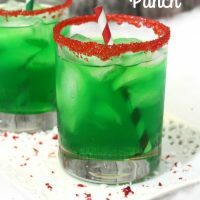 We made Grinch punch last night using the lemon and lime jello and it tastes just like it would if you used the kool aid. good luck and Merry Christmas!!! 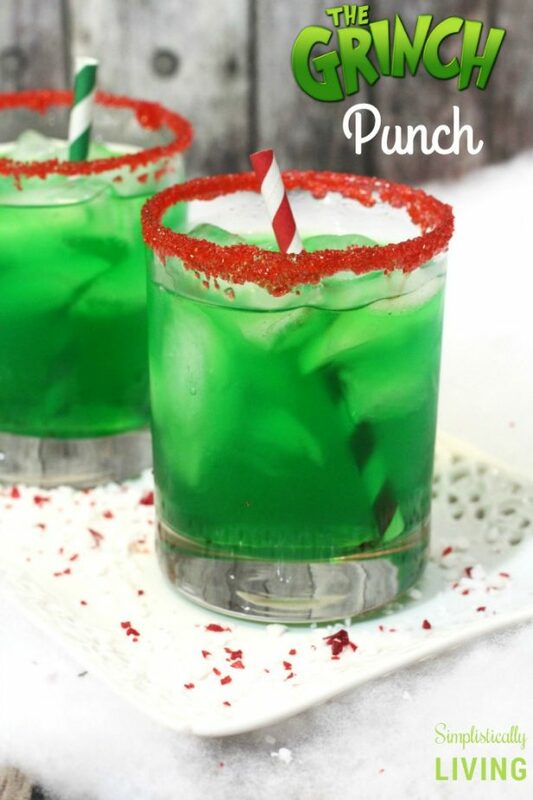 I was wondering what the serving was on the grinch punch recipe! Thanks for sharing this recipe, I tried something similar at a party and it was great. 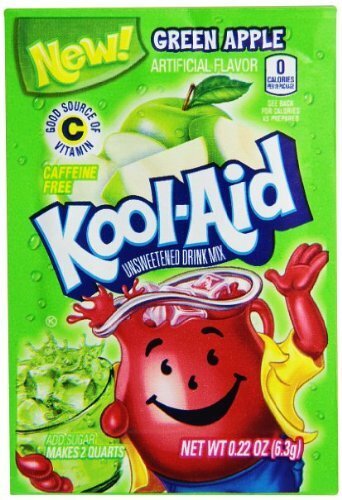 I know it is probably common sense, but the packet of Kool Aid is actually .13 oz. No, I feel like it is needed for this recipe for taste. No. I believe all of the ingredients are necessary to make it taste right. How much Rum or Vodka would you put in it? A few shots but it depends on the amount you are making. Do you add just the pineapple and lemonade concentrate? Or do you mix those two up, then add? How did you get the sugar red?? How many would you say this served? Thanks! I have the same question.... how many servings (glasses)? It depends on what size of glasses you use. It looks very good, but I am wondering if it's not too sweet with the high amount of cool aid and sugar? Anyone tried the recipe? Is the pineapple juice concentrated too?